5th November 2007 photo shows phase 1 - the cladding now fitted below and above the windows. 12th December 2007 cladding now completed. 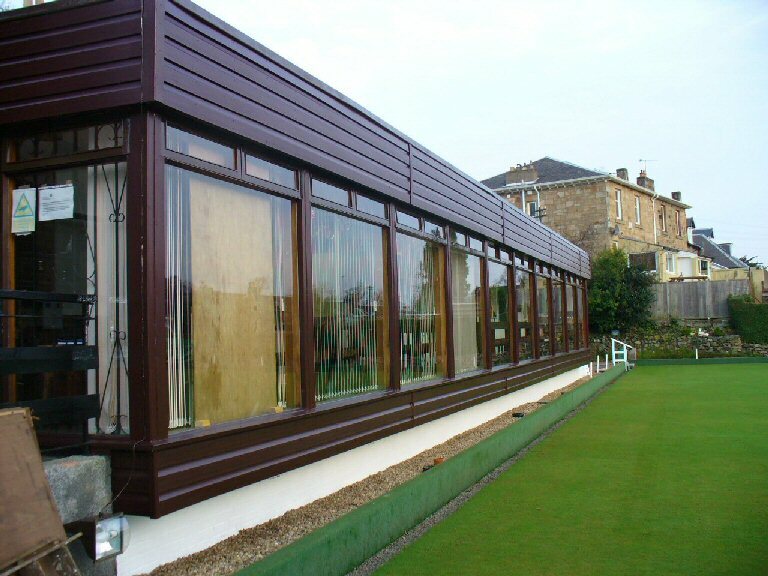 .Fabulous job done by the Cambuslang Bowling Club members. 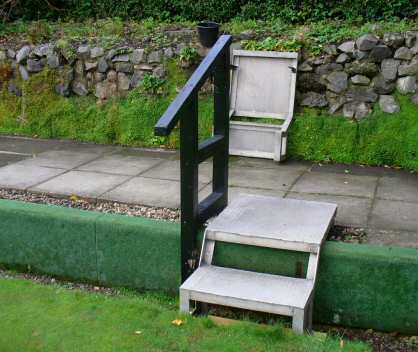 We have new steps on green, kindly offered to us by Kirkhill Bowling Club, thanks to Director Derek McCutcheon who met their Green Keeper last week and negotiated a deal for their old steps.